According to the Massachusetts Department of Corrections, former Patriots tight end Aaron Hernandez hanged himself this morning in his single cell, with a bed sheet tied to the window. 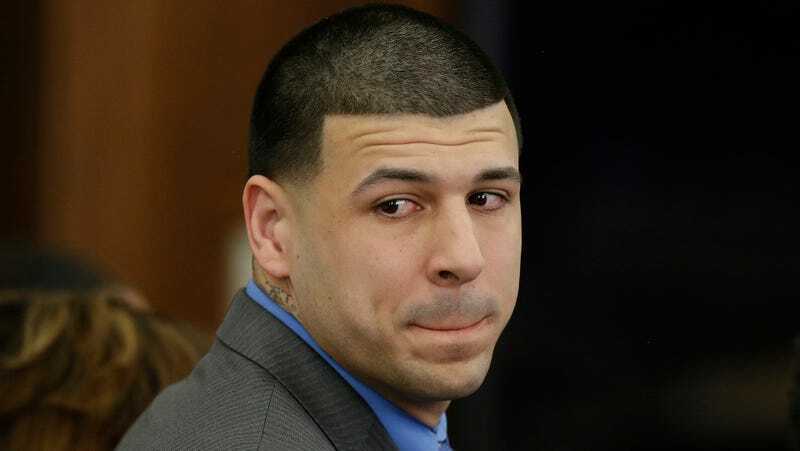 But at least two people are wondering whether Hernandez really hanged himself: his lawyer and his agent. TMZ reports that lawyer Jose Baez—who secured Hernandez a not guilty verdict last week in the deaths of Daniel de Abreu and Safiro Furtado, but who did not represent him when he was convicted of murdering Odin Lloyd—“has launched an investigation on behalf of Hernandez family and they are not buying the suicide story,” and believes Hernandez could’ve been murdered either by other inmates, or by correctional officers. Neither Baez nor Murphy were in the cell with Hernandez, and just hours after his death, it isn’t clear what information they have that would point them towards this conclusion. The prison suicide rate is devastatingly high, and even after his acquittal, Hernandez was facing an uphill battle to ever leave prison. If you or someone you know is having suicidal thoughts, you can call the National Suicide Prevention Lifeline at 800-273-8255.